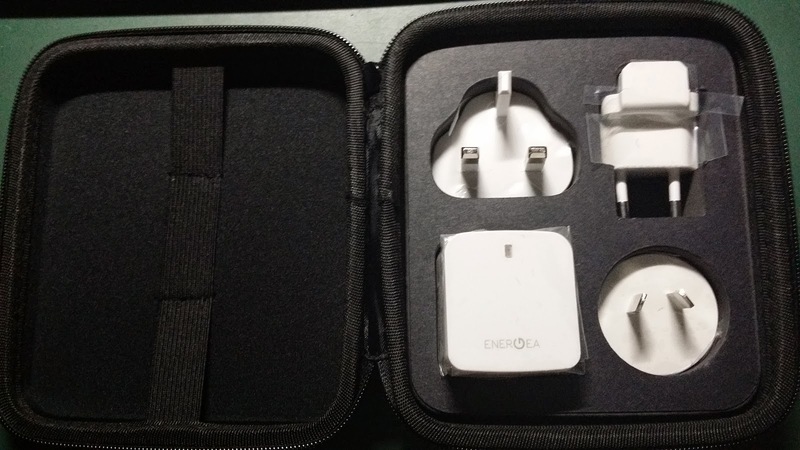 I bought the Energea Duo USB Travel Adaptor Kit at the recent Comex 2014. It was held between 28th and 31st August 2014. 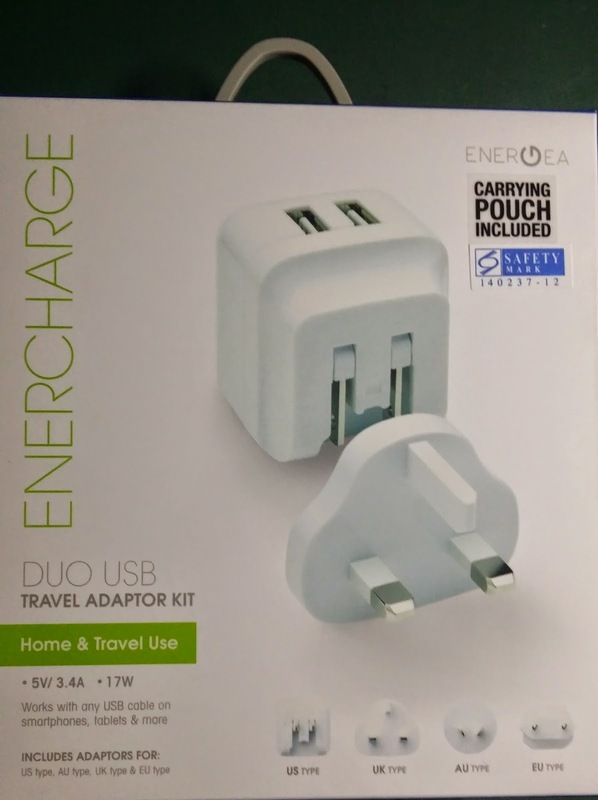 I was not looking to buy a travel adaptor as I already have the Arctic Charger Pro 4, which I blog about it here. 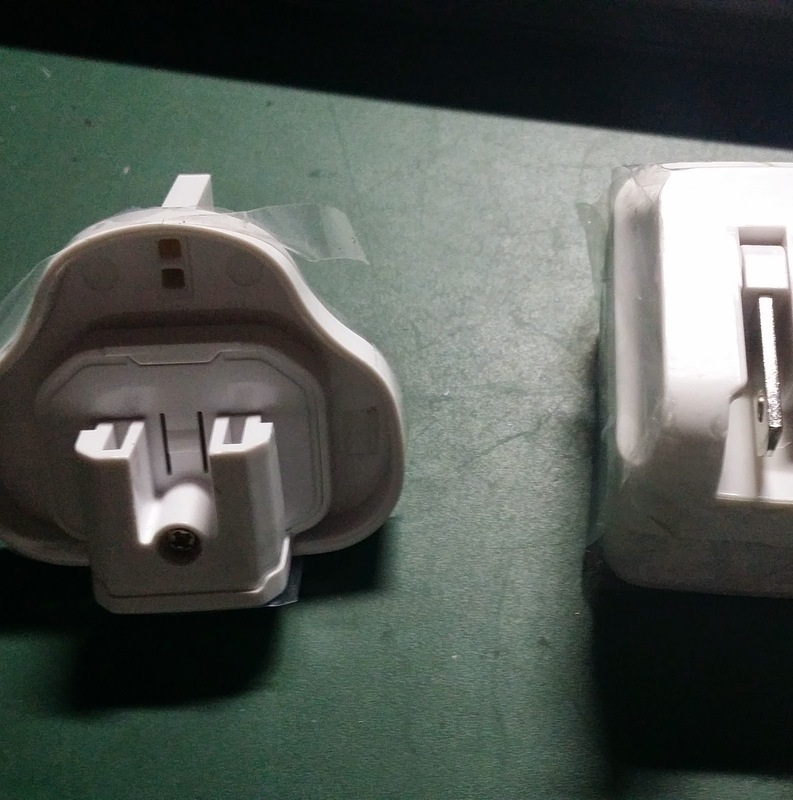 I was looking for something similar to the Apple Clone Two Port USB Charger which I bought in KL. I intend to use it only at home. I blogged about it here. 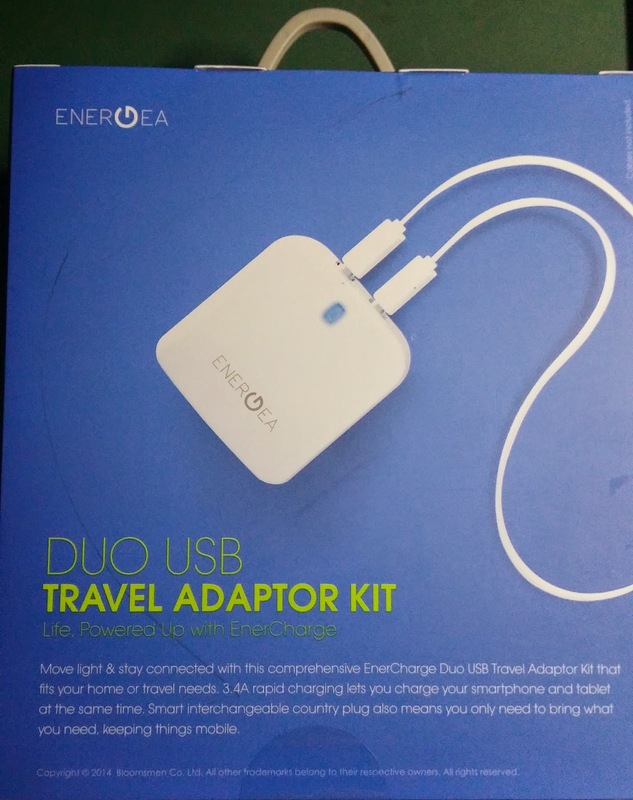 But the lady that sold the Energea Adaptor Kit gave a SGD5 off the promo price, which is already a good deal. 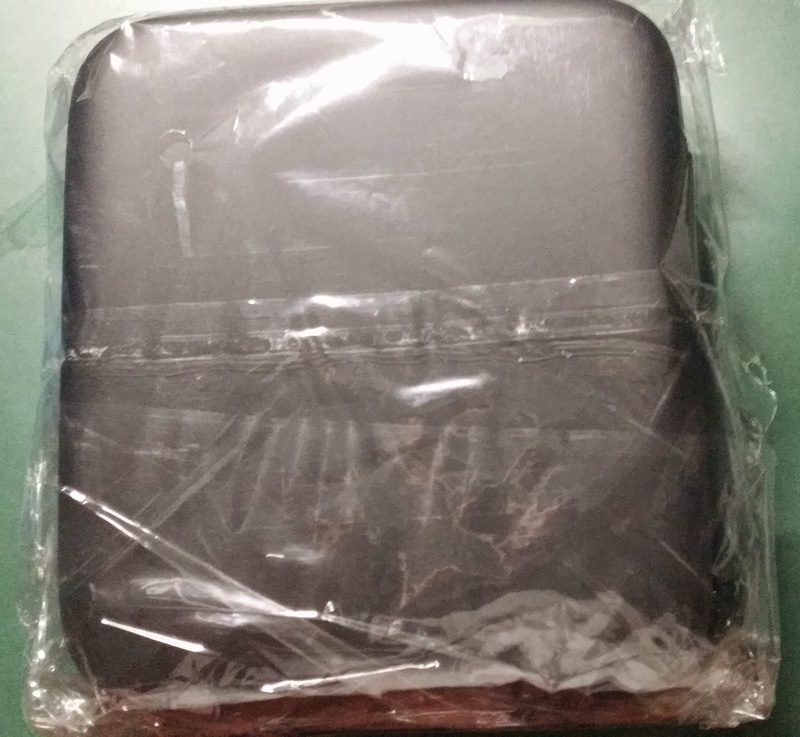 It comes with the various adaptors and a sturdy travel bag. The USB output is 3.4A shared, which allows it to charge a tablet and a phone simultaneously. 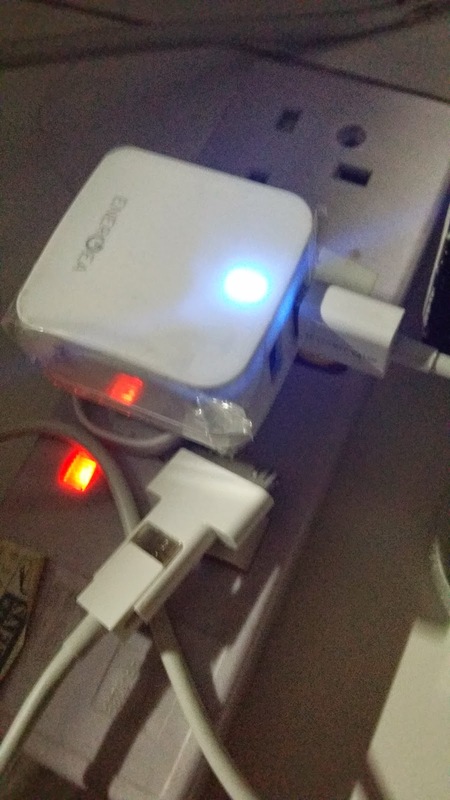 This is similar to the Apple Clone Two Port USB Charger. 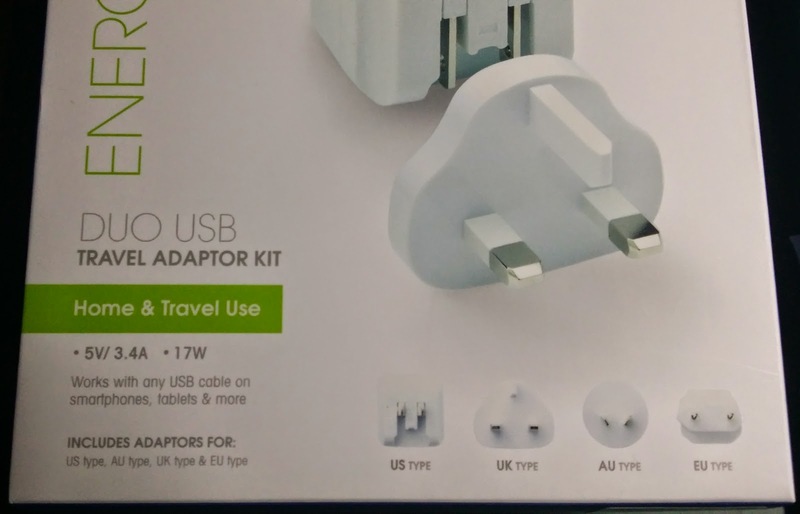 The various adaptor plugs are included. 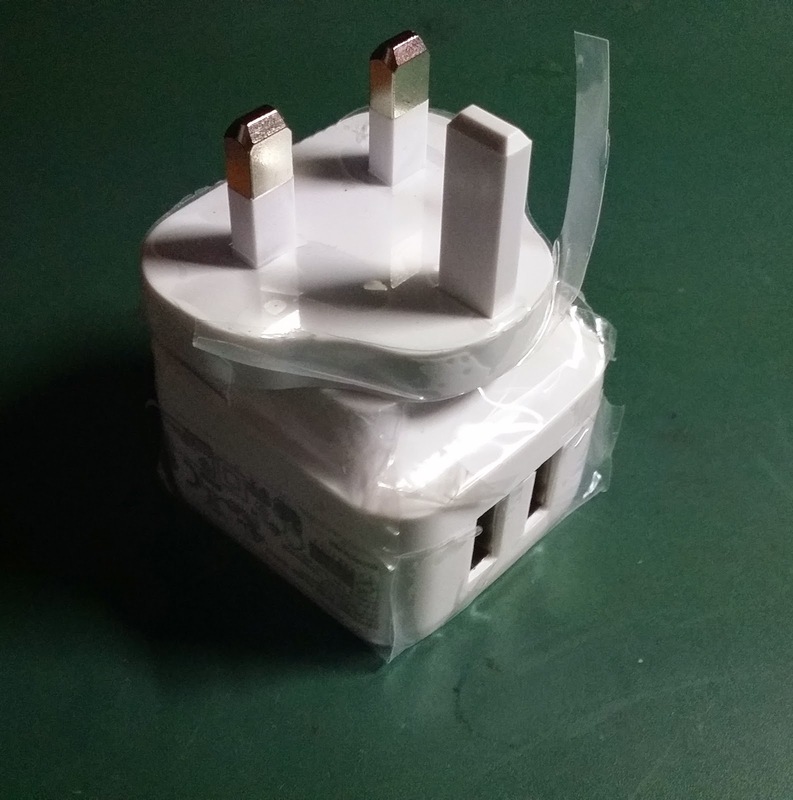 How to place the plugs. Its not exactly a pouch. 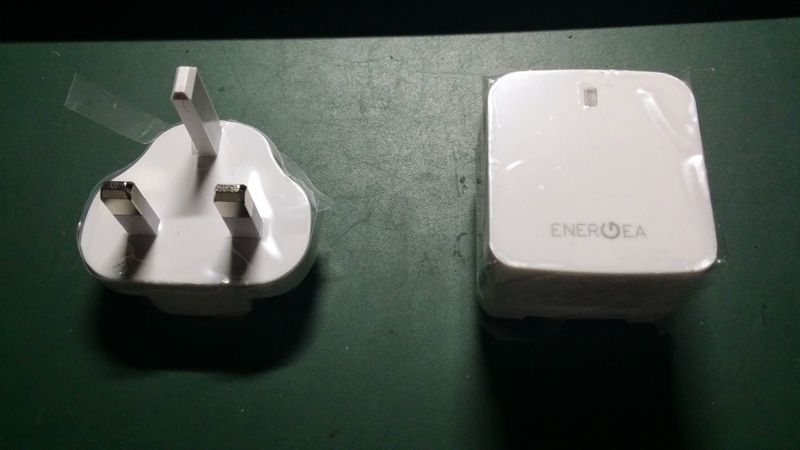 With the UK plug adaptor. 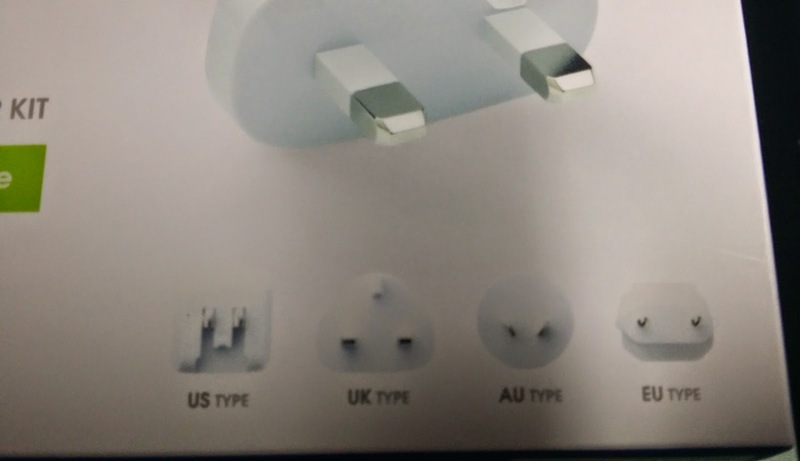 UK adaptor and US Adaptor. With the UK adaptor attached.